If you have a moment, Please watch the video prior to reading the post! 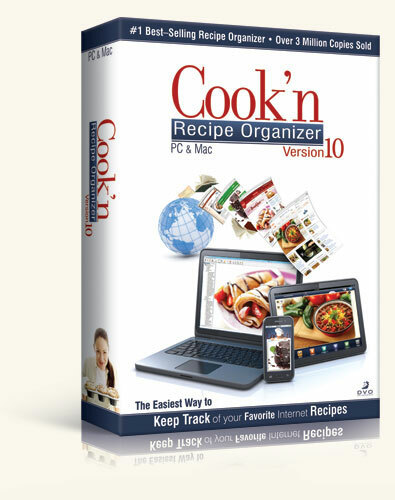 I was graciously provided with the opportunity to review Cook'n recipe organizer. I cannot stress enough how I love trying new recipes that I get from, online, in magazines, and also in cooks. Well, up until now. I did not have any type of organization process. I would hold on to the recipe, and place it in a binder or folder. If you could imagine, this process is not suffice. Just imagine trying to look through hundreds of paper in a binder trying to remember the name of the recipe or what the picture looked like or even trying to remember if the recipe is in a bind or folder. Yes, I know it sounds like a lot nd total chaos, and trust me it was. 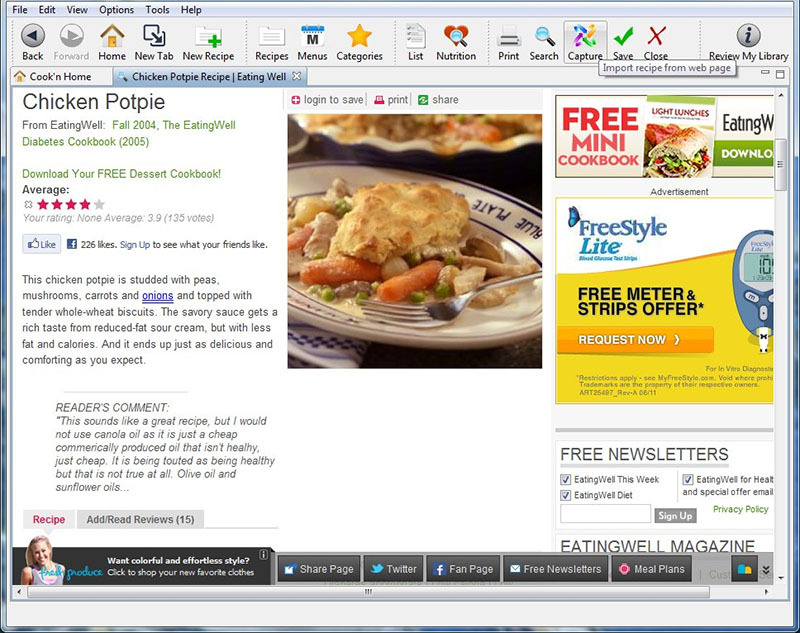 I love how Cook'n Recipe organizaer gives me he ability to enter my own recipes in Cook’n. 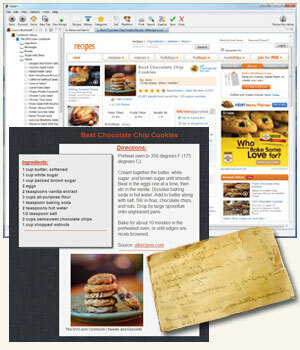 This software also has the ability to capture recipes from the web too. That’s not all; this recipe organizer also includes tons of recipes???? Yes, TONS of recipes. Did I mention that you can search for recipes based on the ingredients in which you have! 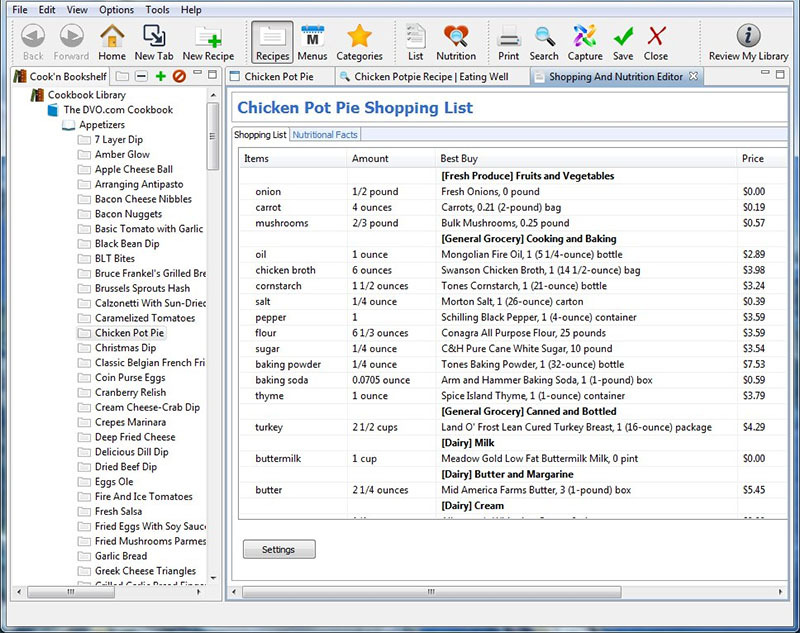 Yes, I know J I am super excited to have this recipe software, it just makes organizing recipes so much easier. Below are are a couple of features in which I adore. 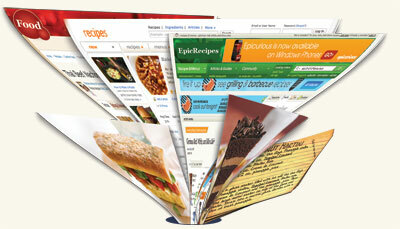 DVO is graciously giving away One Cook'n Recipe Orgainizer (79.99 value) to one of my Wonderdul readers. Thanks so much DVO! For additional information about Cook'n Reipe Orgainizer or to purchase your own, visit them online at www.dvo.com. You can also check them out on Facebook . Also check out their weekly prize giveaways on their Facebook page. Please use the Rafflecopter form for ALL Entries. (Blog comments will not be counted) This giveaway is open to US Residents, age 18 or over. This giveaway will close on June 12, 2012 at 11:59pm EST Time.